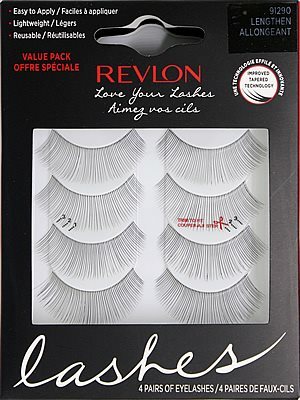 Revlon Love Your Lashes Eyelashes Value Pack Black (91291) most loved lengthening false eyelashes! Made with quality synthetic hair-like fibers, Revlon Love Your Lashes are designed to blend in with your natural lashes smoothly, seamlessly and for comfortable luxurious fit by gently hugging your lash line. These lashes are made for you to show off your ultimate glam! Revlon Love Your Lashes Eyelashes Value PackWhite (91290) most loved lengthening false eyelashes! Made with quality synthetic hair-like fibers, Revlon Love Your Lashes are designed to blend in with your natural lashes smoothly, seamlessly and for comfortable luxurious fit by gently hugging your lash line. This adhesive is comparable to DUO Brush-On Adhesive Latex-Free, Ardell Brush-On Lash Adhesive Latex-Free, and Revlon Precision Lash Adhesive. 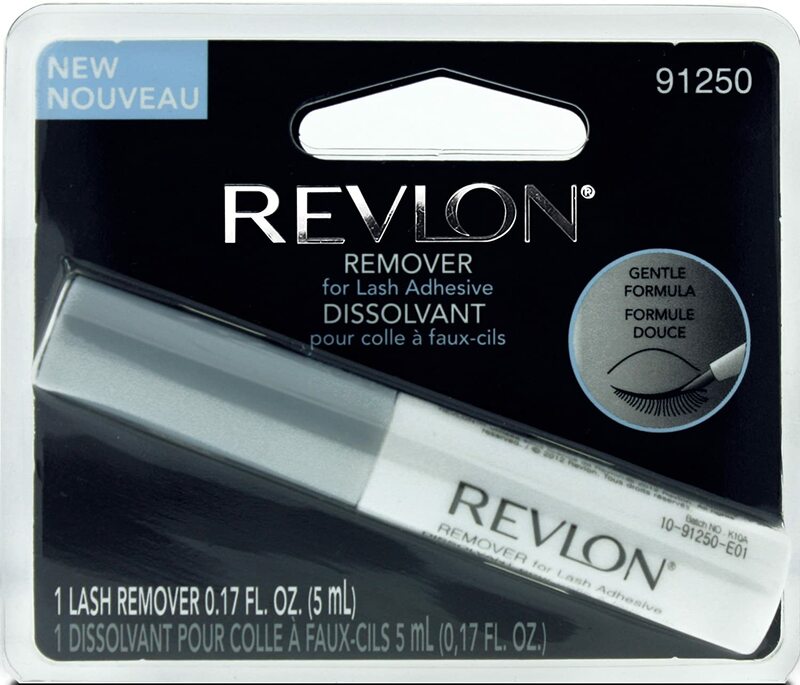 Revlon Precision Lash Adhesive Glue (91321) is a waterproof and LATEX-FREE glue for false strip eyelashes. The new ultra thin precision brush tip allows for mess-free application to the lash band for. INCLUDES: One (1) Lash Adhesive 0.17 fl. oz. (5ml). Revlon Adhesive (91321) glue is the newest updated version of Revlon Adhesive (91147). This adhesive is comparable to DUO Brush-On Adhesive. 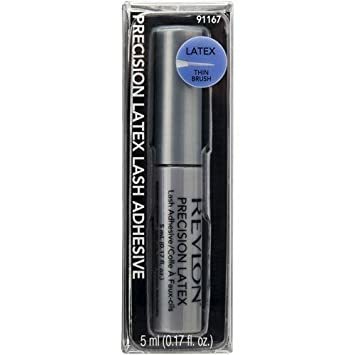 Please note Revlon Precision Lash LATEX Adhesive (91167) is currently out of stock; Item will be available again shortly. Try similar item in DUO Brush On Striplash Adhesive (0.18oz). This product works best when used with Revlon Precision Dark Lash Adhesive and Revlon Precision Lash Adhesive. Apply remove to saturate entire lash band. Use remover tip to nudge at lash band lifting in the process. Gently peel off and remove. Please note Revlon Runway EPIC 2X Layer (91265) is currently out of stock; Item will be available again shortly. Try comparable style in Ardell Double Up Lash 203. Use Revlon Runway 91203 lashes for gorgeously, flirty natural to dramatic eyelashes. These black false lashes have a subtle criss-cross design. Use Revlon Runway SMOKEY GLAMOUR 91202 lashes for gorgeously, flirty natural to dramatic eyelashes. These black false lashes have a subtle criss-cross design. Revlon Beyond Natural DEFINING (91181) lashes effortlessly enhance your look! Get gorgeous, natural-looking lashes in an easy-to-apply strip lash. Please note Revlon Beyond Natural DEFINING (91181) has been discontinued. Try comparable style in Andrea ModLash Strip Lash #53, Ardell Natural Eyelashes Babies and Bullseye ‘Just a Girl…’ DEBBIE Lashes. Revlon Beyond Natural NATURAL DEFINING (91168) lashes effortlessly enhance your look! Get gorgeous, natural-looking lashes in an easy-to-apply strip lash. Revlon Beyond Natural ULTIMATE FRAY (91267) lashes effortlessly enhance your look! Get gorgeous, natural-looking lashes in an easy-to-apply strip lash. Style is comparable to Bullseye ‘Just a Girl…’ JOAN lashes. Please note Revlon Beyond Natural ULTIMATE FRAY (91267) has been discontinued; Item is no longer available. Try comparable style in Bullseye ‘Just a Girl…’ JOAN Lashes.